Cindy Lucille Porto Chiellini (CRD #1015592) is a currently registered broker with Centaurus Financial, Inc. (CRD #30833) of Lexington, SC, since 2015. Previously, she worked with J.P. Turner & Company, L.L.C. (CRD #43177), Gunnallen Financial, Inc. (CRD #17609) and First Allied Securities, Inc. (CRD #32444), all of Lexington. She has been in the industry since 1984. Chiellini has three recent customer disputes in her long financial career, but no disciplinary actions. The first dispute was filed on 05/21/2018, from the beneficiaries of a deceased client. The claimants alleged that Chiellini recommended unsuitable investments that resulted in a loss when they decided to liquidate. They have requested damages of $100,000. Chiellini denies the allegations, and states that she not only reviewed the investments with her original client before they were purchased, but also discussed options with the beneficiaries after the client passed away. The beneficiaries decided to liquidate rather than wait, and signed statements that they understood the loss involved by immediate liquidation instead of waiting for these securities to reach full maturity. This claim is currently pending. The second dispute was filed on 4/17/2018, alleging that his account had “less liquidity” than he told Chiellini he wanted, and lost principal when he sold. The client requested damages of $170,000. Chiellini’s response denied the accusations. After explaining the investment strategies and providing relevant documentation, as well as receiving the customer’s signature on forms certifying that he understood everything, the customer took the advice of a non-licensed securities and insurance individual to liquidate everything over the protests of Chiellini and Centaurus Financial. After the firm examined the evidence, they denied the claim. The third dispute was filed on 12/23/2016, with the customers claiming they were sold “unsuitable investments from 2010 through 2016.” Again, Chiellini denies the allegations, and states that the customers’ claim is without merit. The customer confirmed with Chiellini that they had received the necessary documentation and that they “understood the characteristics of the investments and their content.” These particular investments were recommended based on the objectives of the customer, and not offered until the particulars were understood by the customer. This dispute is still pending. Have You Invested Money With Cindy Chiellini? 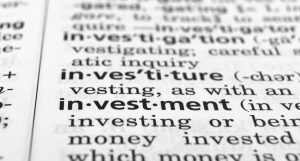 Silver Law Group represents investors in securities and investment fraud cases. Our lawyers are admitted to practice in New York and Florida and represent investors nationwide to help recover investment losses due to stockbroker misconduct. If you have any questions about how your account has been handled, call to speak with an experienced securities attorney. Most cases are handled on a contingent fee basis, meaning that you do not pay legal fees unless we are successful.